The evidence for positive mental and physical health outcomes directly related to the animal-human connection grows stronger every year, as more and more research is carried out in this area. In fact, there are several clinical trials now examining the efficacy of pet therapy with regards to promoting wellbeing. This recent research has found that animal-human interactions can help with reducing stress, anxiety and depression, assist in treatments for children with conditions such as autism, provide support for the elderly (both those that suffer from dementia and those that do not), improve heart health, and enhance social supports and general well-being. The Human Animal Bond Research Initiative Foundation (HABRI 2017), a leader in this field, continues to invest greatly into this research (see link for further information). https://habri.org/research/mental-health#mental-health. Australia’s first Cat Relaxation Room; is more than your local cat café, it is being established here at PsychMed to include the use of trained therapy animals to complement mindfulness activities, guided mediation and yoga Nidra. Having a place for people to come and take part in these activities will allow those that cannot have animals (for reasons such as housing and accommodation restraints) to benefit from these treatments. For further information and reviews on the effectiveness of pet therapy, please see Friedmann (2009) and Marino (2012). 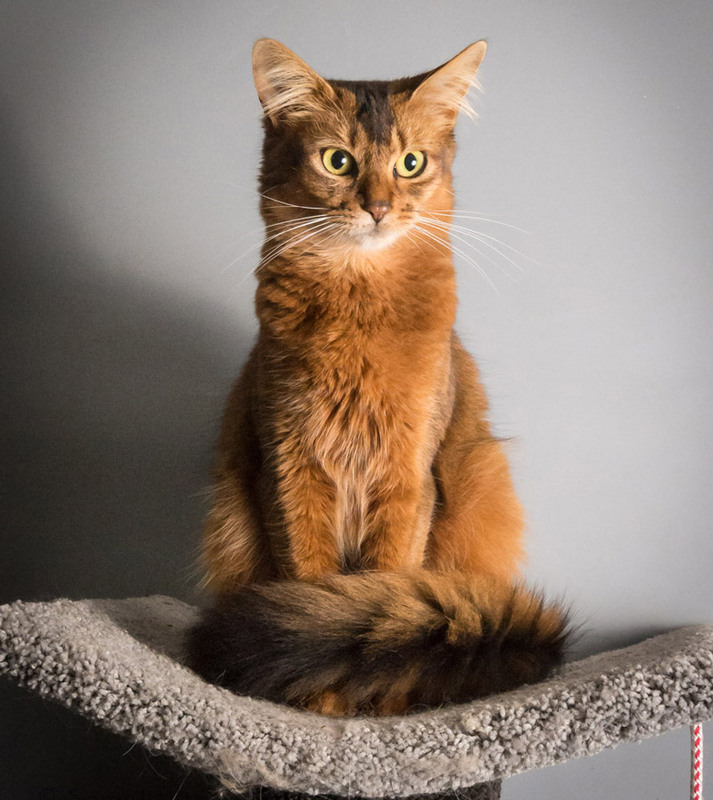 We chose the Abyssinian breed for its well renowned personality and temperament, which make them perfect for therapy animals. These cats thrive on companionship, and due to their curious nature and impressive intelligence, are happy to be entertained by the human activities going on around them. They’ve also been known to let their curiosity get the best of them though, so you may find them opening and closing cabinet doors or even flicking light switches on and off! Personality plus……perfect! 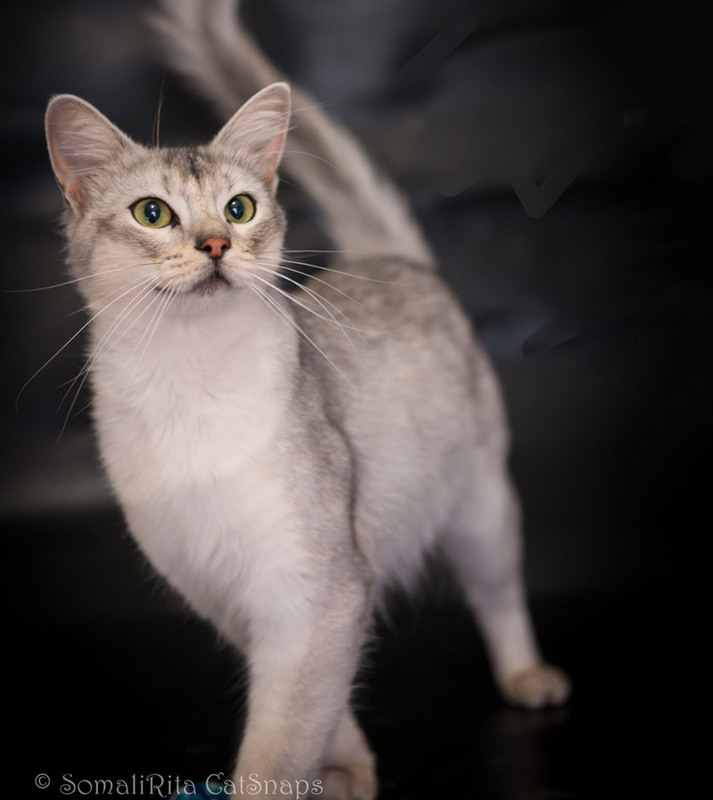 The cat relaxation room is more than your average Cat Café in Adelaide, it provides a safe place to relax and unwind and spend an hour with our cats, Puck, Harmonia and Snowman. The PsychMed cats are not your ordinary Cat Café cats they are ex show cats, trained by a breeder with experience in clinical psychology. They are loving and well socialised. Access to the room is similar to a cat cafe; it includes a free beverage (coffee, tea or hot chocolate), a fresh gourmet dessert from the local bakery, guided meditation, Yoga Nidra and other mindfulness exercises. A take home complementary cat pack is also provided with additional information. The Cat Relaxation Room is available to the public and located at our Seaview Downs clinic 224 Seacombe Road. The session runs for one hour, at $25 per hour, concession rates are $15 per hour. The room is available to people Tuesday to Friday 10am to 6pm and Saturdays 10am to 4pm. The room can accommodate three people per hour. To book a session simply use our convenient online booking tool or alternatively call the Seaview clinic on 08 74444260. For private or extended bookings, please contact our Practice Manager Hope. Unfortunately, for legal and health concerns the room is not accessible to children under five years and pregnant persons. To comply with current health and safety regulations, all clients and visitors must sign a consent form prior to visiting the Cat Relaxation Room. Harmonia has led a very full life as a mother, showgirl and meeter and greeter at her breeder’s house. Now she is very keen to contribute to Psychmed’s therapy program. She likes to be in charge, loves meeting new people and is very active and playful. She will remind you if you forget to keep stroking her pretty head. She comes from a line of very important females so is used to being in charge. Snowman is a very playful boy and loves playing with bird toys, and racing through tunnels. In winter he gets a spectacular coat and resembles an artic fox. He is very excited about starting his new role at Psychmed. Puck wants little more in life than to cuddle and be cuddled. Oh yes and food. Plenty of food. All food is good food. Copyright © 2016 PsychMed. All rights reserved.